All three and four year olds are entitled to up to 15 hours of free early education a week term time until they either go into reception or reach compulsory school age (the term following their fifth birthday) and Redbridge is committed to providing a free part-time early education place for all three year olds from the term after their third birthday. An early education place can be in a pre-school or playgroup; a day nursery; with a childminder or an independent school where they offer the free entitlement (please note that not all settings provide the free entitlement). Parents also have the choice to access a Nursery place in one of the Redbridge Maintained Primary or Infant Schools which all have Nursery classes. Please contact FiND in the first instance. If FiND are unable to reach a satisfactory conclusion to your query and you wish to register a complaint (either regarding a dispute associated with your child's Free Early Education Entitlement place within a setting or the policies mentioned in this guidance) this should be raised in accordance with the Redbridge complaints policy. Full details of the London Borough of Redbridge Complaints Procedure can be viewed on www.redbridge.gov.uk/complaints. Families Information Direct (FiND) has details of all the early years and childcare providers that parents may choose for a funded place, including those suitable for children with a disability or special education need. Childcare providers that offer the Free Early Learning places have a contract with Redbridge to help ensure that the entitlement is of high quality, is affordable and flexible where this is possible. 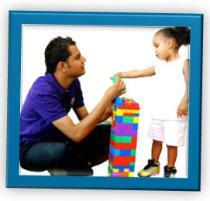 Every childcare provider offering early education follows the Early Years Foundation Stage Framework. Not all early years settings offer the free early education entitlement. Details of those provisions offering the free early learning places can be found by selecting 'View all services' on the page found here. It is important to ensure that what your chosen provider can offer is right for you and your child. You should discuss your requirements with the provider prior to coming to an agreement. 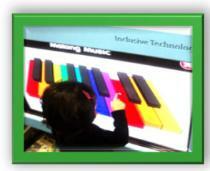 The early learning place provides up to 15 hours a week of free early education, usually over 38 weeks per year (term time only). This is the equivalent of up to 570 hours per year and is known as a 'standard offer'. The offer of a free early education entitlement place must be offered ‘free at the point of delivery’. This means that if your child is only receiving the free early learning place without any additional hours or services then you will not be expected to make any payment or meet any other conditions in order to access your child’s place. Those who operate on a term time only basis such as Pre-Schools and Nursery classes in Primary Schools will usually offer a fixed block of hours in ‘sessions’. This would usually be offered as five morning or afternoon sessions lasting 3 hours each. If the offer is provided in this way a child would need to attend all five mornings or afternoons to receive their full entitlement. In any settings that offer more than 3 hours per day it may be possible to take the full entitlement in the same way as above (5 sessions lasting 3 hours) or can be provided in 3 sessions lasting 5 hours each. It is also possible to access 15 hours over two days (this is the minimum number of days over which you can access the full entitlement of 15 hours). However this is conditional upon this being made available by your childcare provider. There are some childcare providers, such as Independent Schools who offer fewer than 38 weeks so you would forfeit some of your entitlement if you were to choose such a provider. We encourage providers to publish the dates they are open each term and the number of funded weeks within this so that you are clear about their offer before you make a commitment. Whether you wish to access just the free early learning place, or if you choose to access additional hours or services, the provider’s offer to you should always be clear and transparent. For any child accessing the free early learning place there is a parent agreement that you would need to sign confirming you are happy with the offer for your child. Where you are accessing any unfunded hours or additional services you should ensure this is clearly explained by your provider and a contract is put in place that clearly states the agreement. You should ask to see this before committing to a childcare place. If you are in any doubt, ask questions before agreeing to a place. Most private day nurseries and childminders are open all year round. They can therefore stretch the offer of the entitlement to up to 51 weeks per year instead of 38 weeks per year. This means that your child would be able to access a reduced 11 hours per week over an extended 51 weeks. However, as with a 'standard offer' the setting can choose to offer these hours over a minimum number of days. All stretched offers should be calculated on a financial year so this would be from April to March of each year. The total hours per year offered in a stretched offer is 561 hours. Once you have found your chosen provider and have come to an agreement on the offer they are providing you will need to sign an agreement. This is known as the Parent Declaration Form and you will be required to sign your agreement for each term that your child accesses an early learning place. When you sign the Free Early Education Entitlement agreement (known as the Parent Declaration Form) you are making a commitment that your child will be accessing their early learning place at the stated setting for that term. Signing of the declaration confirms that your child will not be claiming more than the 15 hours of free early education that he or she is entitled to. If you are accessing additional services or hours you will still need to complete a Parent Declaration Form, however we would also advise that you and the setting have a signed contract in place. This would include information including any fees, deposits. This further agreement would be a private matter between providers and parents. If you choose to access the free early education within two separate settings you will need to advise both settings, come to an agreement over how many hours each setting will claim on behalf of your child and will ensure this is detailed on the Parent Declaration Form prior to you signing the agreement. You can also request an increase or decrease in the number of free early learning hours that your child accesses prior to the deadline shown, as long as this will not exceed the maximum entitlement. Any additional hours for the remainder of the term requested after the dates shown above will be chargable to parents/carers. Your childcare provider is required to make a claim to Redbridge in accordance with the Parent Declaration Form. They are then reimbursed for the hours offered free to you. However as stated previously where you are solely accessing a free early learning place this should be provided ‘free at the point of delivery’ so you should not be expected to make any payment in order to access the place. Children are able to access their early education place at up to two settings, for example at a school nursery and with a private day nursery. The hours claimed must not exceed the maximum of 570 hours per year (from April to March). For further advice on splitting your child's hours over two settings please contact FiND using the details shown below. Early years settings will be flexible where possible however they need to ensure that they continue to run a sustainable childcare business and may not be able to offer the days or hours that you require, or may need to set a minimum number of days or hours that a child can access. When they need to implement a minimum number of days or hours this may exceed the free early learning hours available to your child. Be honest with the provider about your requirements and ensure that you take the time to discuss these with the setting, as well as any requirements they have in place, before signing any agreement – you may wish to take a list of questions with you when you first visit the setting. 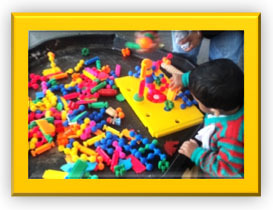 If they aren’t able to provide a suitable place they may be able to direct you to another local provider that may be better suited, or alternatively visit http://find.redbridge.gov.uk for details of other early years settings and guidance. 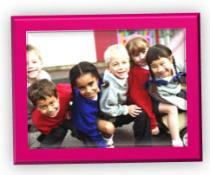 From April 2015 your child's setting are able to access additional funding from the Early Years Pupil Premium. You will be asked for some of your information when completing a Parent Declaration Form so your child's setting can find out if your child is eligible. This additional funding is for your child's setting to provide additional support to your child. You can find out more here. Local Authorities are required to implement the Free Early Learning locally, in line with the statutory guidance from the Department for Education (DfE). The latest guidance became effective in September 2014 and can be found using the link below.